Divyanshu Ganatra looks like a normal person who is specially abled by being visually challenged. He however has several credits to his achievements which includes being a Limca Book of Records holder for flying a plane. 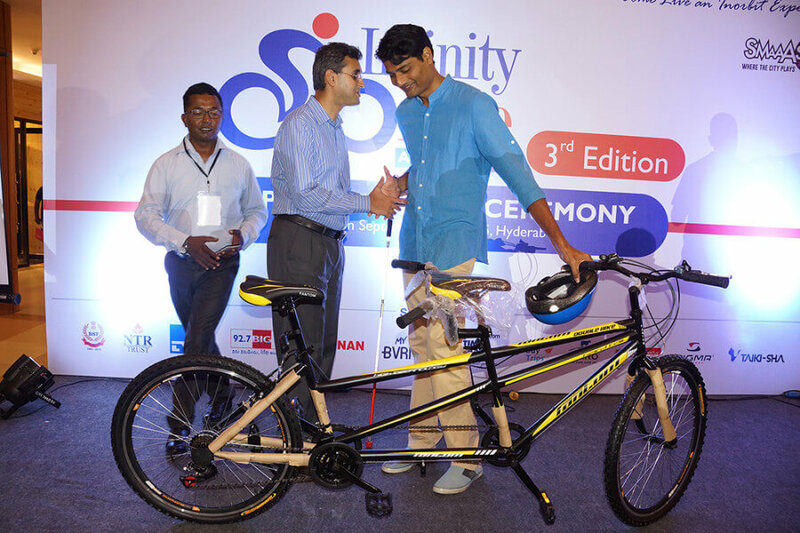 AMF went ahead and bought him a Tandem Bicycle to help him achieve bigger goals in the field of sports.